The Honda Fit is all-new for the 2015 model year and features better fuel economy, new technology, and a longer wheelbase contributing to more interior room. The 2015 Honda Fit has preserved its distinctive wedge shape while gaining some maturity via new grille and headlight designs as well as a more planted stance. It features clean lines, a large glass area, a muscular shape, and even combines a rooftop spoiler with a sub-bumper diffuser to not only look sportier but also improve aerodynamic performance. 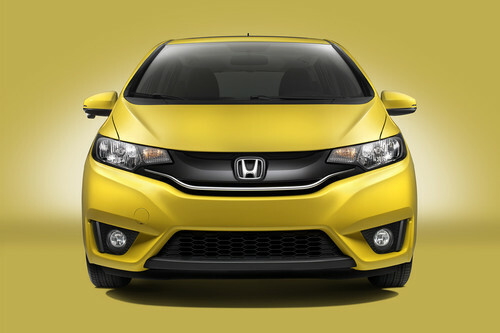 The 2015 Honda Fit is equipped with a 1.5-liter four-cylinder Earth Dreams DOHC engine with direct injection. It uses i-VTEC technology to create more horsepower at high speeds to generate up to 130 horsepower and 114 pound-feet of torque. Buyers can choose between a six-speed manual and a continuously variable automatic transmission (CVT). Thanks to Variable Timing Control, the 2015 Honda Fit can slow down valve timing to increase fuel economy at low speeds. It gets 29 mpg city/37 mpg highway/32 mpg combined with the standard six-speed manual and up to 33/41/37 mpg with the CVT automatic on the entry-level LX trim. The 2015 Honda Fit is perhaps best improved on the interior, where the longer wheelbase means even the tallest folk have enough room to be comfortable in the back. It features soft-touch materials accented by a silver trim as well as supportive front bucket seats. Controls are easy to see and easy to use especially on the electrostatic-touch high-definition liquid crystal display. The 2015 Honda Fit comes standard with antilock brakes, stability and traction control, front side airbags, side curtain airbags, and active head restraints. It also offers a useful LaneWatch blind-spot system that instantly displays a wide view of the passenger side blind spot on the 7-inch screen display when the right turn signal is engaged.